Biomedical engineers may have found a way to treat tumors for the head and neck, as well as prostate cancer, in a minimally invasive way. The new treatment, referred to as Gold Nanoparticle Therapy, has already been approved by the FDA and the first trial will begin at the Cancer Treatment Centers of America. The nanoparticles consist of microscopic balls of silica (glass) encased in a thin shell of gold. These nanoparticles are injected into the blood stream and absorbed by tumors—not healthy tissue. 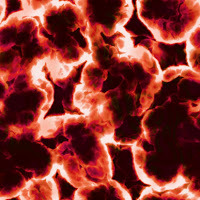 After 12 to 24 hours, when the particles have been absorbed by the tumor, an infrared laser is used to heat the particles and destroy the tumor cell. Tumors are damaged or destroyed with minimal effect on healthy tissues. How will this change the way we control and treat cancer?